Ah, March. Where I planned to toss 40 bags, declutter my life, practice yoga every day, and work on building my newsletter. I did exactly as I said... I forgot. ADD, you are so predictable. Not all of it. 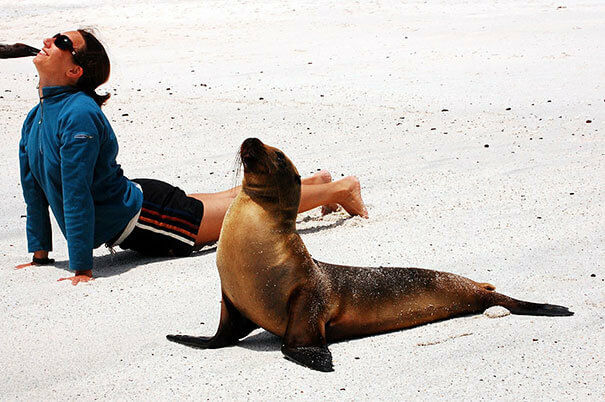 I did try a yoga pose every day, finding the new limits my muscles have post surgeries. Some poses are a hard no, others I hadn't been able to attempt in years. I started to declutter... but there is a lot of clutter and it is easy to get distracted. 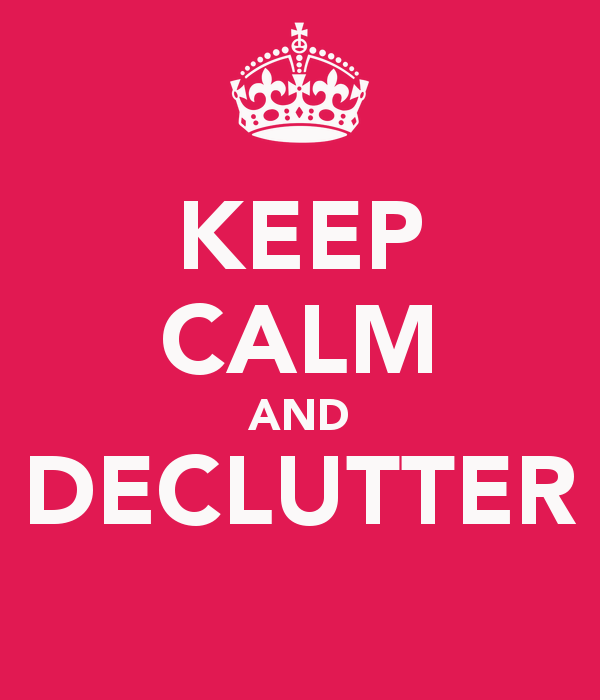 I've decided to keep up with the '30-day' declutter challenge, and embrace that it will take me as long as it takes. I'll get a sticker for each assignment. I love stickers. I did much better on the 40 Bags in 40 Days, In fact, I still have a few days left. I managed half the bags - including 4 bags of books! My office closet hasn't been this organized since we moved in. My desk is another story entirely. I'm continuing to declutter, which means I'll have more bags heading out. I just won't keep count. Keeping up with the Social Media 12-month Challenge is something I touch in some way every day. I read a ton about newsletters and gathered tons of opinions. Some say bigger is better (ha! ), others think organic (ha!) is the only way. Some give things away to their newsletter list, some think that invites freebie seekers, not readers. It's enough to make your head spin! 30 days wasn't enough time to try all of the tips I wanted to, so more newsletter tips and tricks later on when I can see what works. I think this is the longest I've stuck with any New Year's Resolution. It's kind of the way to go, trying a new challenge every month and learning more about something I should already know. I set myself up for a win with this! 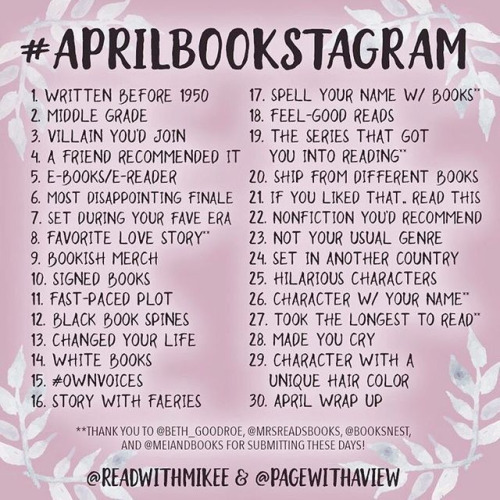 I'll still be working on my newsletter in April, but I'm also trying to figure out instagram for the Social Media 12-month Challenge. I'm not sure if it will be effective as a marketing tool, but a sixteen-year-old explained why everyone is approaching it wrong... and it made sense! I'm taking his advice and it's working like he promised. I won't know if it has any RTI until I have a new release. Fingers crossed. What 30-day challenge to try... considering I'll spend a week at a writing retreat this month. That means a healthy eating or sleep or exercise isn't something I'll succeed at. Hmmm. 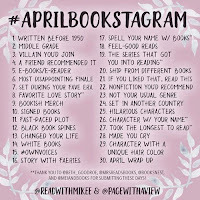 Since I'm working on instagram, I'm doing a #Bookstagram challenge. No, I don't actually understand what it is or what's going on. But this April, I intend to find out!! What challenge should I take on next month? Copyright 2011-2017 Jenna Bayley-Burke. Simple theme. Powered by Blogger.